We must admit, generating more B2B leads online has become an exercise of necessity. With automation and interactive voice recognition (IVR) being the norm, it does make one wonder if telemarketing is still needed in the lead generation business. Pundits are saying that the internet, with its wealth of information, will make salespeople obsolete. Customers have information right at their fingertips, so they no longer need anyone peddling directly to them anymore. Based on the recent research done by the Acquity Group, more than 95% of business owners looking for new businesses online still prefer having someone on the phone to discuss business with. In other words, a salesperson is still required in the appointment setting process. These potential sales leads still require talking to an actual person, in order to assess the value of a business they wish to work with. This is an important development in the B2B lead generation business. The explanation is simple, direct consumers only need to read user reviews or company pages before they buy anything, leaving the salesperson out of the loop. Corporate buyers, however, are in a different field. They spend a lot in just one purchase, so they have to think their options carefully. Naturally, they would require someone to walk them through the buying process. This is an opportunity for you. Just be sure that you remove the aggressive selling part on your lead generation campaign, since this is a turn-off for these prospects. Before you begin your lead generation campaign, be sure that you have a brand that will back up your business. After all, in today’s highly brand-conscious market, how you describe your business, as well as the name you choose, could very well spell a bonanza of B2B leads, or probably make your appointment setting team’s work harder to do. A company brand is essentially your name and calling card. This is the first thing that your business prospects will see in your calling card, as well as the name they will hear when you give them a telemarketing call. You brand would be the one on display during trade fairs or symposiums you participate in. That is why you need to choose your brand name well. To do that, you need to first think about the tone. You need to choose a name that fits your image, like the way Ford uses nostalgia and classics in their imagery. It also helps that you research your brand. You may have thought it up on your own, but there might be others using it already. Avoid using brand names that have already been used, lest you are ready to deal with trademark lawsuits. And be kind to feedback, mind you? If people do not like your name, or could not connect your brand to your business, then it means you need to change it. Remember, you are creating a brand to generate sales leads. Choose your branding well, and you can do better in lead generation. We all know how big Coca-Cola is as a brand. It is practically everywhere you go in any part of the world. And while we might say that all large companies can do that, and smaller firms could only sit and moan their situation, it is a rather flimsy excuse. No matter the size, a company can still go global in their lead generation efforts. Generating sales leads from different markets (not to mention countries) can still be done. In Coke’s case, they went for a simple mantra – same company, different approach. This is a good lesson for you and your appointment setting team, especially if you are employing certain promotions to advertise your products or services in the global market. Before you begin any marketing campaign, you need to do your homework well. And you might have to double up your efforts if you do not have a local team to guide your way. It is necessary. You need to understand what message is acceptable or unacceptable in your business. You also need to know what medium will work best. If telemarketing brings in the B2B leads, then so be it. It is a mix and match kind of marketing you have to do, since you have to test the waters and see what works best. Give a ready ear – millennial can be really sensitive, especially when it comes to perceiving a person’s attentiveness. You do not need to do some guesswork to figure out the mind of millennial. As long as you listen carefully, you will get the information you need. Humanize your message– when you give millennial a telemarketing call, never sound scripted. That is the last thing they want to hear from you, and is pretty much the biggest factor why they reject your offer. Express possibilities – with the advancements in products and services delivered, it becomes easy for people to expect a lot. Millennial have seen a lot of possibilities, so they have big expectations. Meeting these expectations makes it possible for you to generate good sales leads. Miami Heat rules the ball court – as usual. Their game play is so good that other teams could only scratch their heads as the Heat blitz their way to the finals. But what is the secret to their success? What kind of lesson can we get from it, a lesson that can help in our own lead generation campaign? Put it simply, it is all about intelligent play. Come to think of it, as long as we work intelligently in our appointment setting efforts, it would be an easy thing for us to generate better sales leads. In the Miami Heat’s case, they wasted no time and effort in their shots. Every throw, every move, every dribble they made were all carefully calculated against their opponents. They also made careful evaluation of the opposing team and assigned the appropriate player to face-off with them. That pretty much matches up to what a marketing campaign should be. Study the market, know who to reach, as well as identify the marketing mediums to employ. Be it social media, telemarketing, email, or all of them, these should be geared up to help your business generate more B2B leads. Marketing can be likened to a game. As long as you know how to play, then you can handle it. All that remains would be choosing the winning team. Good for you if you can organize your own lead generation specialists. But if you do not have one yet, you can still ask the help of outsourced appointment setting firms. Knowing your target persona – this is basically the ideal customer. To identify who your prospects are, it pays to conduct a comprehensive market research survey. It could be done in many forms, like social media or telemarketing. It will only depend on what exactly you need. Knowing what your prospect will want – this is basically what Steve Jobs did when he introduced the iPhone, iPad, iPod, and the like. These items were not yet in the consciousness of his customers, but because he positioned himself before the need became clear, Apple got a sales advantage. Knowing the biggest players– sure, you should extend your net wide, but you must know where the biggest fishes are. You cannot just spend time, money, and effort to get everyone. Know who are the biggest buyers, and you will get it right. Keep these tips in mind, and your appointment setting efforts will be more successful in generating B2B leads. It is that simple. Yes, a lot of telemarketing representatives and sales managers will cringe at the thought of saying those words, and for a good reason. They are trained and focused on being the experts in a particular business, where their words will convince their potential sales leads that they can be trusted. Saying, or admitting, that they do not know the answer to a question is a bad sign, one that can ruin the success of a lead generation campaign. But that is not always the case. The first thing that you have to remember is that no one is perfect. No matter how much you study or prepare yourself before an appointment setting call, there will always be a case where you may not be able to answer a question. It may sound counter-intuitive to admit that you do not know the answer, but actually, it can work the other way around. A lot of business prospects are tired of hearing marketers and sellers claiming that they have all the answers to their current business woes. So it can be a refreshing change to hear someone admit that they do not know something, perhaps along the lines of how a prospect’s business operates. This creates an opening for you to know more about the prospect. Ask them how they go about their business, learn from their demonstration, check all the facts, and look deeper into their problems. Only then will you be able to come up with a winning solution. That is the winning strategy in gaining more B2B leads for your business. In terms of generating qualified sales leads, building rapport between you and business prospects is an important activity to do. After all, getting into the good side of business prospects is an aim that we ought to reach in all our activities. Building rapport is integral in our lead generation campaigns. Without it, we will not be able to generate the B2B leads that we need, not to mention failing to get interact effectively with customers. So, how will you do it? Personalize – from your emails sent to the telemarketing calls you make, you need to have some level of personalization to your prospects. Nothing could irritate a prospect more than receiving a “Dear Sir/Madam” letter, or a totally scripted call. Keep away from that practice. Advice – sometimes, give out business advice and marketing tips for free. This is against the common practice of give and take. While it might seem like an unnecessary expense in the long run, it is actually a good investment in building business rapport. Deliver – this is the point where the sale is made or the deal is struck. At this point, you might be lured to simply just deliver what you agreed on. Be careful: this is the point where your business prospect decides whether to do business with you again or not. So better impress, that will keep you their business. Follow these business tips, and it will be easier for your lead generation and appointment setting campaign to perform. It will be to your benefit. Put a sign-up form in your website or blog. If you haven’t already done so, placing a simple fill-up form on your website or blog is the most basic (and easiest) way to get qualified b2b sales leads into your business list. Place the form in an unobstructive yet conspicuous space within your blog or website. 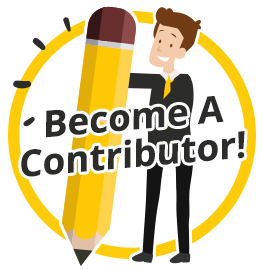 Also, to motivate people to sign-up, have contests, promotions, or free giveaways that would require your readers or visitors to sign up. Just make sure your website or blog has certification. Your b2b leads and sales leads are more likely to give you their contact information if they can see an assurance that you don’t participate in spam, or that you won’t sell their contact information to a third party. There are various certifications available on the internet that you can place on your site to offer this assurance to your qualified b2b sales leads; web hosting service providers even offer this as a cheap add-on to their services. When your sales leads see that your online business is authentic, you can look forward to more visits and sign-ups to your business list. Scour the internet for completely free business information. It’s a common practice for online (and even offline) businesses to share their basic contact information on their websites to the general public. It helps their customers reach them easily, and you should take advantage of this. A simple Google search will yield hundreds of thousands of business b2b sales lead information. Though this may seem like a daunting task, you can be completely sure that the contact info on your business lists are made up of potential business sales leads from the right niche market. Utilize the information on social media. Even if you don’t have a lot of followers on Facebook and LinkedIn, you can check the profiles of these followers and collect their business information, just like doing a Google search. The benefit of getting the information from social media is that they will be more likely to recognize your products and your brand, which means they will be more accepting of your newsletters. You might even be able to ask for referrals from your followers to further increase your business list. Your telemarketing campaign may be adequate right now, but to get the best possible results from your campaigns, you need to have all the factors that comprise a great business to business telemarketing campaign. Securing a good telemarketing script for lead generation and hiring reliable, experienced b2b telemarketers need one more thing to complete the process: a highly targeted telemarketing business list. You can either generate your own business leads by scouring the internet and phone books, purchase a business list from a lead generation company, or you can outsource to professional lead generation service providers to look for specifically qualified b2b sales leads using your criteria. An important thing to remember when buying pre-defined business lists from another company is to make sure that the list hasn’t already been sold to a competitor in your industry. This is often the problem with pre-qualified business lists because the buyer (in this case, you) will never know how many competitors in the same market, or even the same micro niche, have already gained access to that list of qualified business leads. Imagine if you were to buy a list that usually costs several hundred dollars; you’d expect your b2b telemarketers to be able to convert or get business appointments with these businesses because they are high quality leads. However, if your competitors have also purchased the same list, then your chances of converting these leads will be drastically reduced no matter how much they fit your criteria. Not only did you waste critical funds, but you’ve also wasted the time and effort of your employees. 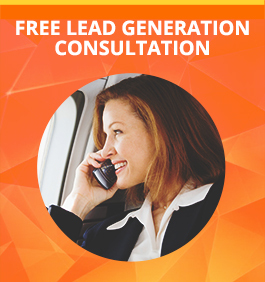 The best way to ensure that your telemarketing campaign cold callers only contact qualified leads that you can actually convert and haven’t been purchased by your competitors yet is to outsource your lead generation to a professional b2b lead generation service provider. These leads you get from these companies are freshly sourced. Meaning, you get the first opportunity to offer a solution to their problem. And because the business list was generated specifically for the use of your telemarketers, you can be assured that no other competitor will present another offer to your business leads as you close the deal. All that’s left is for your telemarketers to set the business appointments and your sales representatives to close the deal. Having an exclusive business list of qualified b2b sales leads, professionally trained and experienced b2b telemarketers, and an engaging telemarketing script are the most important factors to secure if you want to have the best telemarketing lead generation campaign for your business. If your qualified business leads reject your offer, it doesn’t mean that your telemarketing script is to blame. It might be that your business leads simply aren’t willing to go through the process of implementing a new process or don’t want their employees to waste any time learning how to use a new product or service. You might also start blaming your telemarketers of not doing their work properly, as it is a common reason for such problems. It could just be the business sales leads who are the problem, so don’t immediately think its your telemarketing script or your b2b telemarketers. If your appointment setting campaigns are not letting you convert as much business leads as they should, the problem might not be with your script or your appointment setting service provider. Your chosen b2b sales leads may just be experiencing an emergency, such as a low economy, or a disruption in their specific industry which is why they don’t have any budget to spend. If you identify these factors as the cause of your problem, then try contacting your business sales leads another time. If your lead generation campaign isn’t working as you intended it to, don’t think your lead generation methods are not effective for your chosen market niche. Perhaps you just aren’t paying attention to the right datas or statistics, or your marketing people haven’t been implementing the method properly. A lot of good lead generation campaigns are not reaching their full potential because of a lot of factors, but they end up being replaced with another lead generation method without even the proper research. Before you consider a process or operation in your business as ineffective and decide to scrap it for a newer method, consider all the possible angles first so that you don’t waste any more effort, time, and resources to implement a new system. Especially when the problem is with your sales and marketing department, take into account all possible factors before you choose to implement a new lead generation or telemarketing campaign.